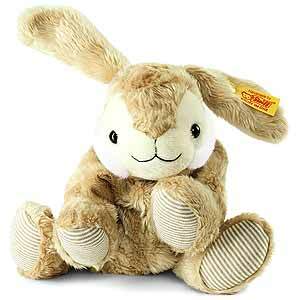 Hoppel Rabbit Heat Cushion by Steiff is from the best for kids collectiona and is hand made in beautiful soft light brown plush and wears the famous Steiff Button in Ear and yellow tag. Features removable cherry pit pillow. Please follow instructions that come with him.